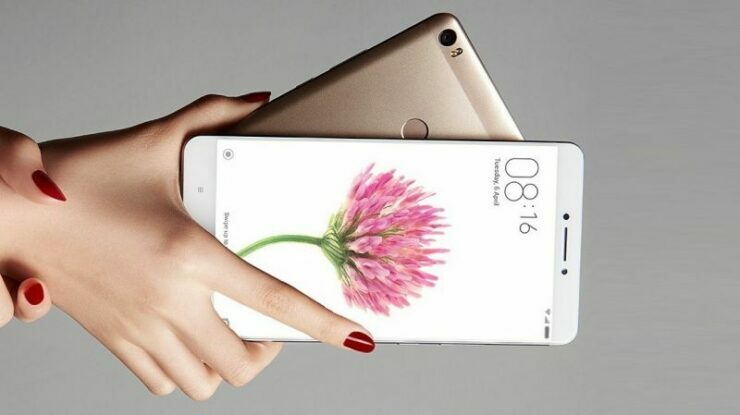 Xiaomi is now developing a mid-range phablet called the Mi Max 3 has received more positive news related to its performance. For years, the company outfitted cheaper Qualcomm chipsets in the device but did offer users a ton of battery life in return. However, what is got a blend of both performance and battery life from the upcoming Mi Max 3? According to a 3C certification, the announcement of the smartphone is not far off and it will come with very capable hardware. Lei Jun, the CEO of Xiaomi, had earlier said that the Mi Max 3 will be released in July and this was also alleged in a leak. 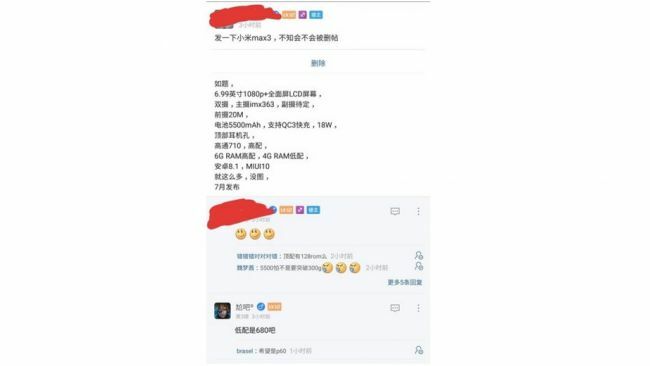 A Weibo user has now leaked the specifications and a picture of the display panel, and if you have experience with the previous-generation Mi Max family’s specifications, these devices are massive in size. The Mi Max 3 will run MIUI 10 with Android 8.1 Oreo underneath. The leaked picture of the display panel shows that the phablet will have a display of 6.99 inches with an aspect ratio of 18:9, and a chin at the bottom. The resolution of the smartphone will measure at 2,160 x 1,080, with the upcoming Huawei Mate 20 Pro possibly only challenging this smartphone in terms of sheer size. The Xiaomi Mi Max 3 will reportedly be powered by the Qualcomm Snapdragon 710 (via TechRadar) chipset and supplementing the performance of the processor will be an Adreno 616 GPU. The device is expected to available in two variants; a 4GB RAM and 6GB RAM version. The chipset is going to be its primary selling point, as it is able to obtain a 30 percent performance improvement over the Snapdragon 660 (you can check out our performance, features and specifications comparison between the Snapdragon 710 and Snapdragon 660 right here). The phone will also have a dual camera on the back, with the main sensor being a 20MP shooter while the secondary camera is a 5MP sensor. Another selling point of the phone will be its massive 5,500mAh battery, wireless charging capability and possibly an iris scanner incorporated with the mega-sized phablet. The only other Snapdragon 710-powered phone from Xiaomi is the Mi 8 SE and comes with a lot of affordability with the entire package. Will the Mi Max 3 come with the same pocket-friendly price? Tell us down in the comments.